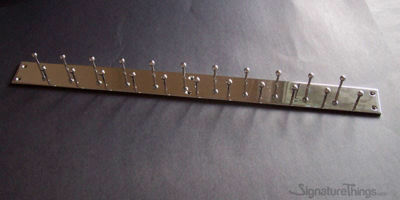 Can be customised to any size. 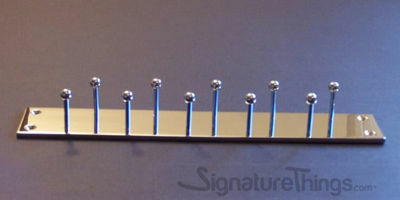 Comes with Matching Screws. 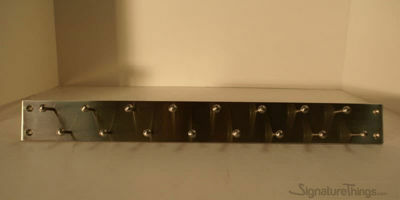 - 2"W x 12"L backplate is 3/16" thick with 10 pins. 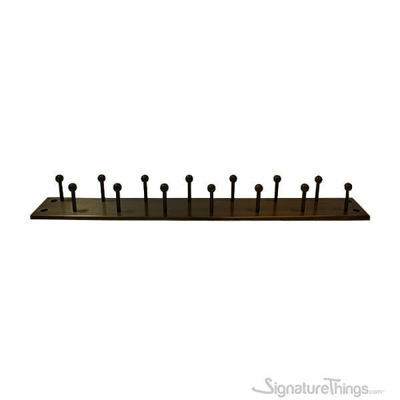 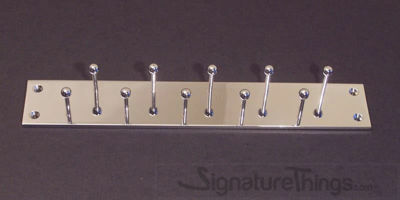 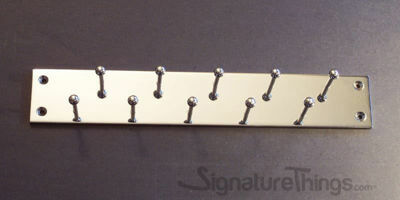 - 2"W x 14"L backplate is 3/16" with 12 pins. 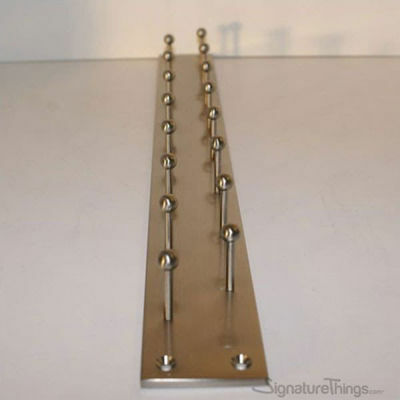 - 2"W x 16"L backplate is 3/16" with 14 pins. 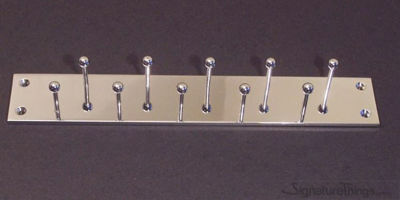 - 2"W x 18"L backplate is 3/16" with 16 pins. 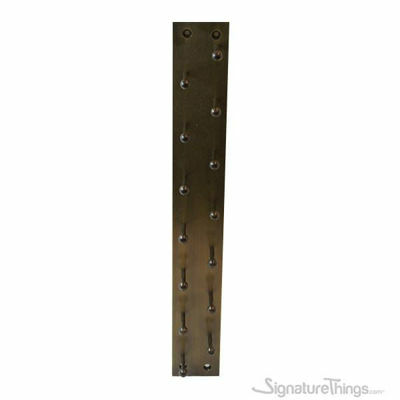 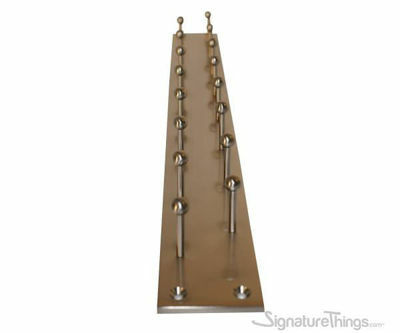 - 2"W x 24"L backplate is 3/16" with 22 pins.